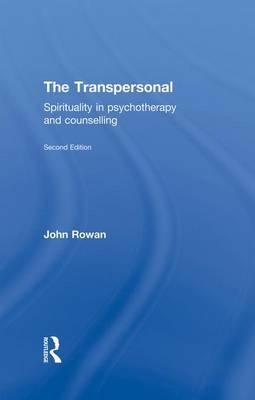 In this new edition of The Transpersonal, John Rowan takes account of the growing interest in spirituality, assessing the many new developments in the field and providing an essential overview of the multitude of guides now available on the subject. By providing a clear and highly readable introduction to the realm of the transpersonal, this book eliminates many of the misunderstandings that plague this area. It relates the transpersonal to everyday life as well as to professional concerns and the various schools of therapy. Divided into three parts, Being, Doing and Knowing, it encourages the reader to explore the levels of consciousness, the techniques involved in transpersonal work and the underlying theory. The unique relationship between the therapist and client is examined in detail, as are the imagined and imaginal world, personal mythology and transcultural work. An entirely new section is included on the ways in which the transpersonal therapist can use the concept of subpersonalities. This fully updated and revised version of John Rowan's original pioneering text provides a highly practical guide which will be useful to anyone working with the growing number of people with spiritual concerns.